During pregnancy, we go to many prenatal doctor visits, take vitamins to ensure we have an adequate supply of folic acid, and undergo lots and lots of various tests. One of these tests involves drinking a cup of incredibly sweet liquid on an empty stomach. It is not the most pleasant of tasks, but this is the blood glucose screening, and it is very important because it helps determine the presence of gestational diabetes, which is a potentially serious condition that can affect the baby in long-term ways. But now research has shown that there are simple ways to slash your chances of developing gestational diabetes. The study, which was conducted at the National Institutes of Health in Bethesda, Maryland, found that the risk of gestational diabetes can be cut nearly in half for women if they adopt some healthier habits before and during pregnancy.1 The subjects were more than 14,000 adult women in the United States who were pregnant between 1989 and 2001. The scientists pored over the participants' medical histories for this time period to obtain information about their lifestyle choices and routines. They also searched for diagnoses of gestational diabetes, which was indicated in the records of 823 of the pregnancies. The researchers devised a formula based on risk factors to calculate the approximate proportion of women who developed gestational diabetes for whom the condition theoretically would not have occurred if the subjects had discontinued the habits that put them in a high-risk group. The categories of low-risk versus high-risk were determined by an emphasis on certain lifestyle choices that most prominently influence this condition, including body mass index, working out, and smoking. In fact, a whopping 48 percent of these cases of gestational diabetes were determined to be preventable if the women had been eating a more nutritious diet, exercising regularly, and quit smoking--not that any of those things is necessarily that easy to do for many women. The data showed that the strongest pre-pregnancy indicator for a diagnosis of gestational diabetes was having a BMI of 25 or above, which is considered overweight. And the chance of being diagnosed went up tremendously along with weight. The participants who had a BMI over 33 (which is well into the classification for obesity that begins at 30) were found to be four times more likely to have gestational diabetes than those participants who had a BMI under 25, associated with maintaining a normal weight prior to pregnancy. I understand that the latest trend is to encourage women to accept the bodies they have and not pass judgment. And there is much to recommend that approach. But we're not talking self-image here. Being overweight carries serious potential health consequences for women who are pregnant--and their babies. Reducing the number of cases of gestational diabetes--found in a 2014 study at the Centers for Disease Control and Prevention in Atlanta, Georgia to be present in 9.2 percent of pregnancies2--will benefit the health of both mother and baby. Gestational diabetes develops in women during pregnancy who did not previously have diabetes but often have several risk factors for the disease. For those women, the pancreas does not produce or use all of the insulin that the body requires. 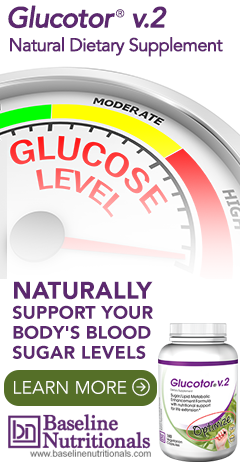 Since insulin regulates our blood sugar levels, this deficiency results in too much glucose circulating through the blood, a hallmark of diabetes. In addition, women who have had gestational diabetes are at increased risk of developing high blood pressure, preeclampsia, and eventually type 2 diabetes. The babies are affected as well. In utero, the infant's pancreas steps up its production of insulin in an attempt to rid its tiny body of extra glucose. This excess is converted into fat, often resulting in much higher birth weight than that of average babies. Not surprisingly, these children have been shown to face a greater risk of becoming obese or being diagnosed with type 2 diabetes or ADHD3 as they get older. Ultimately, while we cannot do anything about certain genetic components that may make us more susceptible to ailments such as diabetes, this research serves as an important reminder that there are also many factors within our control to help prevent them. If you are pregnant or planning to become pregnant, take steps to improve your habits. Focus on eating healthy, nutritious foods throughout the day. Start working out daily too, even if it's just going for a 20- or 30-minute walk initially. Avoiding gestational diabetes is one way to get off to a good start at this exciting time of your life.